The government Friday notified the second phase of the FAME India scheme with a Rs 10,000-crore outlay to encourage adoption of electric and hybrid vehicles. "The scheme is proposed to be implemented over a period of three years, with effect from April 1, 2019, for faster adoption of electric mobility and development of its manufacturing ecosystem in the country," a notification issued by the heavy industries ministry said. Under the second phase of the Faster Adoption and Manufacturing of Electric Vehicles in India (FAME-II) scheme, 10 lakh registered electric two-wheelers with a maximum ex-factory price will be eligible to avail incentive of Rs 20,000 each. It will also support 5 lakh e-rickshaws having ex-factory price of up to Rs 5 lakh with an incentive of Rs 50,000 each. FAME-II will offer an incentive of Rs 1.5 lakh each to 35,000 electric four-wheelers with an ex-factory price of up to Rs 15 lakh, and incentive of Rs 13,000 each to 20,000 strong hybrid four-wheelers with ex-factory price of up to Rs 15 lakh. An inter-ministerial empowered committee, 'Project Implementation and Sanctioning Committee' (PISC), headed by the heavy industry secretary, shall be constituted for overall monitoring, sanctioning and implementation of the scheme. "In order to rationalise the incentives across segments and across vehicle technologies, it is initially proposed to extend uniform demand incentive at Rs 10,000 per KWh for all vehicles including plug in hybrid EVs and strong hybrid, except buses. This will be subject to review and revision by PISC," the notification said. Besides, to encourage public transport, for buses, initial uniform maximum demand incentives at Rs 20,000 per KWh is proposed subject to review and revision by PISC. The amount of incentives for buses may further be subject to competitive bidding among the original equipment manufacturers, conducted by public sector transport undertakings based on the opex (operational expenditure) model. The demand incentives for electric buses will be provided only on the opex model adopted by state or city transport corporations and other public entities working in transport sector to augment the fleet of electric vehicles. The proposed incentives would be reviewed annually or earlier by the PISC based on price trends for various components and assemblies and market parameters such as offtake of vehicles. To begin with, the cap on incentives for buses will be 40 per cent of the cost of vehicles and for all other categories, it will be 20 per cent, the notification said. 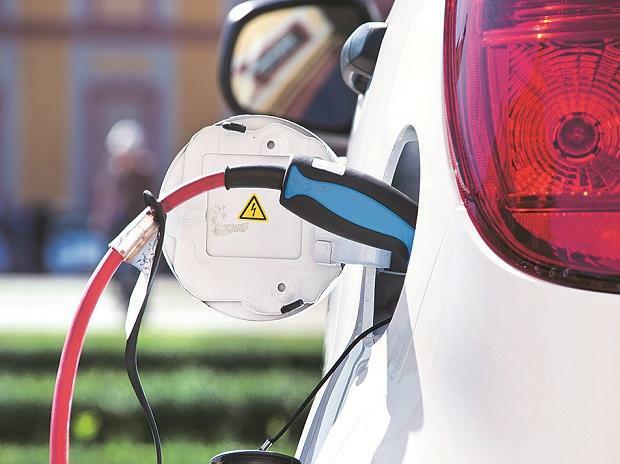 To meet the qualifying criteria for demand incentives, a hybrid and electric vehicles, including its variants, should be manufactured in India and have such percentage of localisation as may be notified from time to time, the notification said. The demand incentive for all segments, except buses, shall be disbursed through an e-enabled framework and mechanism set up under the Department of Heavy Industries. The scheme also envisages support for setting up of adequate public charging infrastructure to instill confidence amongst EV users.